The reviewer has been compensated in the form of a Best Buy Gift Card and/or received the product/service at a reduced price or for free. As the holiday season starts to gear up, everyone I know is starting to dust off their holiday recipes and plot out their strategy for getting everything done in a timely efficient manner. Now usually this requires extensive amounts of training, creativity and just god given natural ability. Of there’s always the occasional borrowing of the neighbors oven too. Well now there is another resource available to holiday home chefs everywhere. 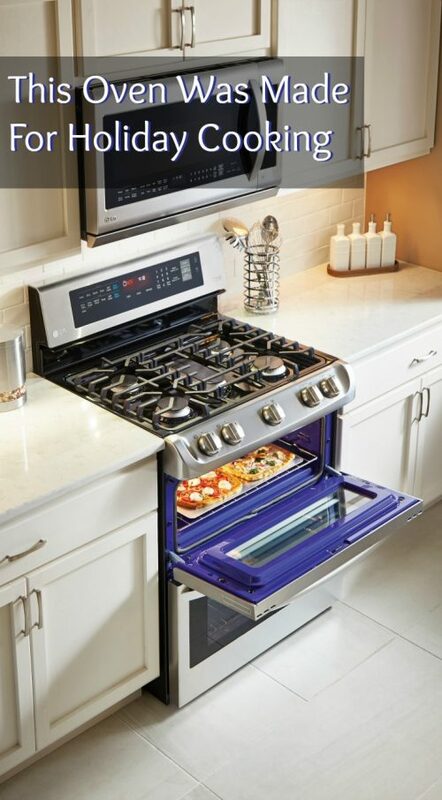 The LG ProBake Double Oven. Here a few features that will have cooking like a pro. Inspired by professional ranges, this LG range moved the heating element from the bottom of the oven to the back wall for optimal heat distribution. This feature provides consistent browning on top and bottom and every cookie baked to perfection with LG’s ProBake Convection ranges. In three easy steps and in just 10 quick minutes your oven can be sparkling clean, minus the strong chemical fumes or high heat with LG’s Easy Clean. To me this is the bread and butter of the holiday cooking necessities. When it comes to cooking multiple dishes at the same time. There is no better ally than dual ovens. The perfect tool to get everything done the right way. So if your are one the blessed ones who love to host holiday dinner for all your friends and family, then this is a tool that you’ll want to add to your toolbox. The LG ProBake Double Oven is available at Best Buy along with these great offers. Kitchen Bundle Rebate through 10/29, where consumers receive a Visa Gift Card valued up to $400 with purchase of a 4 piece Kitchen Package or receive 5x reward points with your Best Buy account on any ProBake Range purchase from 9/28 – 10/29. This can also be stacked with the kitchen bundle rebate mentioned above. 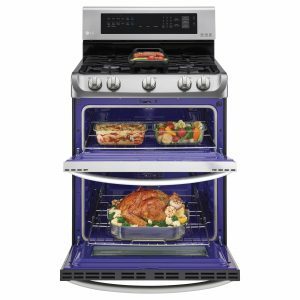 So get to your Best Buy for the LG ProBake, and start your ovens. To keep updated with Best Buy, follow their social media channels on Facebook and Twitter.